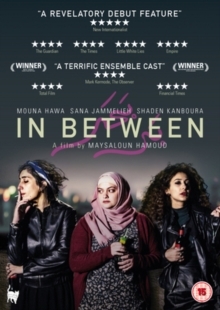 Israeli drama directed by Maysaloun Hamoud and starring Mouna Hawa, Sana Jammelieh and Shaden Kanboura. The film follows Layla (Hawa), Salma (Jammelieh) and Nour (Kanboura), three Palestinian women living in the heart of Tel Aviv who lead complex lives while occupying an uneasy position within their predominantly Jewish society. Independent lawyer Layla refuses to compromise on her underground lifestyle, gay DJ Salma maintains a facade of propriety in the presence of her conservative Christian family and traditionally educated Muslim girl Nour is studying for a degree at Tel Aviv University. Despite their varied backgrounds and lifestyles, they each share their minority position in their society as well as their struggle to find romantic partners capable of accepting their complex lives.